Kari is featured in Metro Riks with a picture from Frisörföretagarnas winter collection 2007. 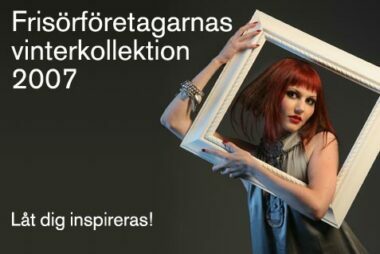 Kari is on Sveriges Frisörföretagares homepage with a picture from their winter collection 2007 on their first page. Kari had a photo shoot with the band Deathstars and the photographer Matt Adamson for the Nocturnal Models Agency calendar for 2008. Kari is on the front page and also on page 3 of the magazine Stockholm City on May 5th 2007. She is featured in an article about “Frisörföretagarnas” winter collection. Kari is now a chosen model of Swedens only alternative modelling agency: Nocturnal Models Agency.